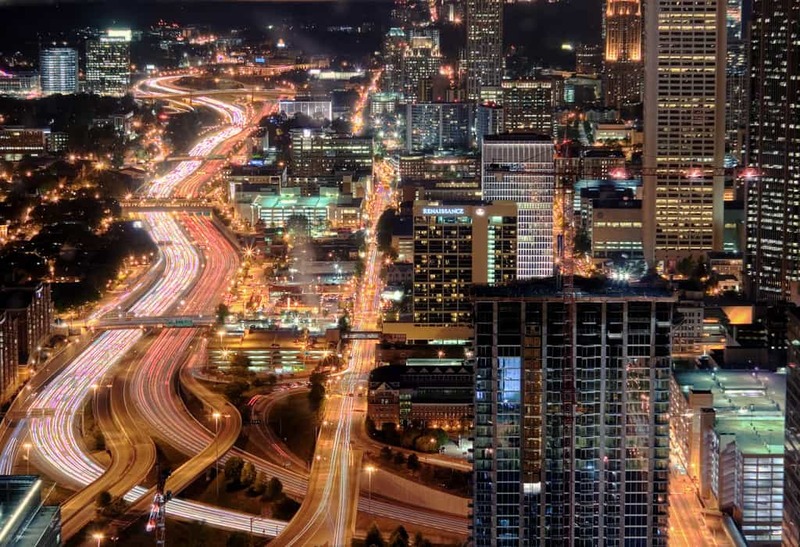 Southwest has round-trip flights from Houston (HOU) to Atlanta (ATL) starting at $108, NONSTOP. $54 each-way. Flights August to October. Mondays, Tuesdays, and Wednesdays. Origin/Destination reversible. 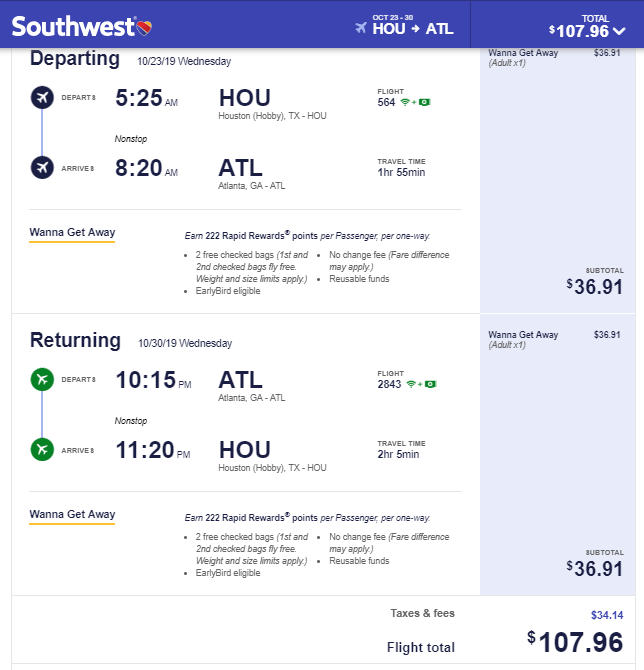 Note: You can save an additional $100 if you book your Flight+Hotel together as a package on Southwest Vacations and use the DOM100 coupon code. Before you commit, always compare the prices of the individual Flights and Hotel with other hotel booking sites like Hotels.com or Tripadvisor.